Last week I mentioned that the schedule looked great for teasers and things turned out well. I went 3-0 (+6.2U) on last week’s teaser bets and that puts me back into the black (+5.9U Overall). There is still time to claim the October first depositor’s bonus at BetOnline. Use the code “OCT50” to receive a 50% bonus for up to $1000. BetOnline (Review) is our #1 NFL teaser betting site. Join the BetOnline Sportsbook today and earn up to $1000! The Bengals (4-2-1) looked good in a win over the Ravens (27-24) in W8. The Jaguars (1-7) played bad in a loss to the Dolphins (27-13). This team has now lost by over a TD in six games already. Cincy is 3-0-1 at home this season and 14-3 ATS in their last 17 home games. I watched the Jags quite a bit last week and they’re bad. They blow opportunities regularly and are just a poor team. They rank last in scoring (14.8 PPG) while the Bengals average 23.0 PPG (18th). Green is practicing again and could play this week. With him and Mohamed Sanu on fire this WR unit will be deadly. I’m surprised Cincy is giving up as many yards as they have (399.1 YPG – 30th), but they’re stronger at home. Over 60% of the action is on the Jags to cover +11, but I expect Cincy to dominate. 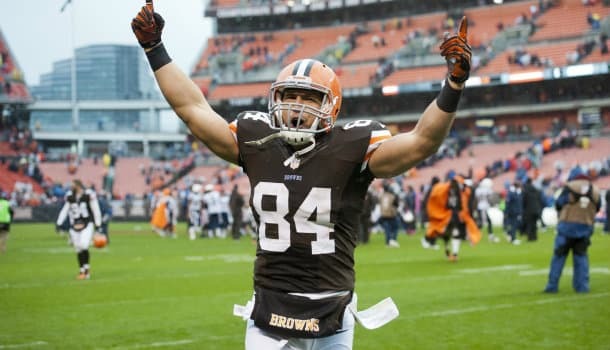 Cleveland (4-3) is 3-1 at home this season with a win over the Saints and their lone loss coming against the Ravens at the very end of the game. This is a strong home team that the public undervalues. About 60% of the action is on Tampa Bay to cover at +6.5, which is surprising. Last week the Bucs lost to the Vikes (19-13) in OT, but they were up 3 before allowing a late FG to force overtime. They lost on a fumble in OT as well. This offense has plenty of chances to put away Minny, but they were horrendous at home. Now they head on the road to play an undervalue Cleveland team. TB allows more points than any other team (31.9 PPG). Cleveland isn’t an offensive powerhouse, but they’ll have success running the football on the Bucs who are allowing 123.9 RYPG (23rd). The Patriots (6-2) have won four in a row since being embarrassed by KC. Denver (6-1) are on a 4-game winning streak as well. Both teams are playing great, but one will suffer a loss on Sunday. I could make a case for either team winning this game, but I really like the Pats at +9 points. This will likely be a game decided by a FG, as both offenses are going to score a lot of points this week. Denver averages 32.0 PPG (1st) while New England averages 29.8 PPG (3rd). A big reason why I like NE is because they rank 2nd against the pass (210.9 PYPG) and should limit Peyton Manning. Another reason is because NE is 4-1 in the last five H2H games including a 3-0 record at home. NE also has a bye coming up next week, so they’ll have plenty of time to rest up after this big game. I definitely didn’t like too many games this week, so I’m sticking to two small teaser bets. I like my two-team teaser a lot, but I’m a little worried about the Pats with the public backing them.